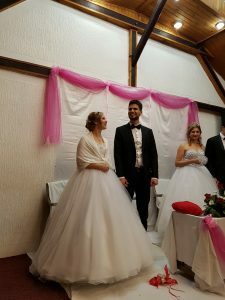 The middle of April, I was invited at the wedding of Sasa, one of my Roma students, in Leskovac, southern Serbia. There are two thriving Roma Christian communities, that are active in evangelism and in planting new churches. What a privilege it was to attend the wedding as “foster mother”! Sasa is a fourth year theology student. Jelena, his bride, is a librarian. 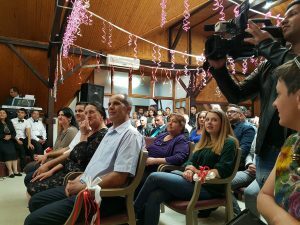 The church service in which they received a blessing on their marriage took place in a church hall on the first floor of a house, packed to capacity. 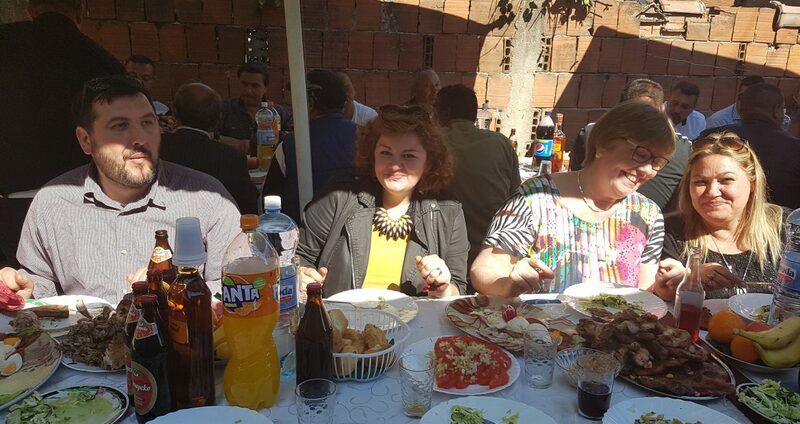 The marriage of a son or daughter is the biggest event in the lives of Roma parents. In this case, two brothers married the same day. As usual in the Roma community, the wedding was celebrated on the street in front of the groom’s house. • The wedding celebrations were for Roma understanding short – only three days -. The custom is that a Roma wedding lasts a whole week. • Again, it became clear that not all Roma are poor, just like not all poor people are Roma! Pray for Sasa and Jelena. It is not easy for them to meet the expectations and customs of their different backgrounds: Sasa is Roma, from Serbia, and Jelena is from Vukovar, Croatia. On the main picture from left to right: Slobodan and Nina, AMK and Kada.